Bob is from Sedalia, Missouri. He first fished the area in 1972 with his high school guidance counselor, Bill Rose. He started working in Jim Danskin’s Fly Shop in 1974 and ran his first guide trip for Bob Jacklin in September of that same year. Bob came to work for Henry’s Fork Anglers in 1978. A winner of Fly Rod and Reel’s “Guide of the Year” award, Bob sets the standard in the fly fishing industry. His knowledge of the area lakes and rivers is unsurpassed. He is a patient, effective teacher and a true professional. Booking a trip with Bob can be next to impossible. He has a great number of return clients and if you’d like to book a trip with him, you’d better do it as early as possible. In the off season, Bob guides bird hunters, trains retrievers, and chases wild turkeys. Smitty first fished the Henry’s Fork with Will Godfrey in 1972 when he was 13 years old. That summer, he caught his first fish on a dry fly on the Yellowstone River. He returned to Island Park to work in Godfrey’s shop during the summers of 1973 through 1975. 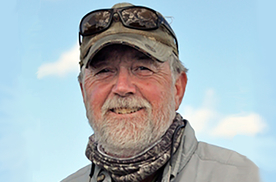 He started guiding for Will in 1985 and eventually, he came to work at Henry’s Fork Anglers in 1990. 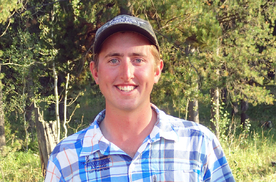 Smitty loves to take people fishing on Harrman Ranch and Yellowstone National Park. A patient teacher, Smitty is also an accomplished artist. His artwork can be seen in our shop and at the Henry’s Fork Lodge. Visit his website at www.marksmithfishart.com. Smitty lives in Brawley, California during the winter months where he does his artwork. He and his his wife Glenna have two sons, Tyler and Mason. 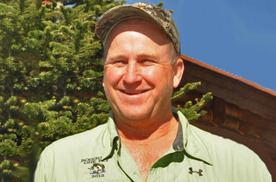 Curt is from Ogden, Utah and has been with Henry’s Fork Anglers since 1979. His father bought a cabin on Island Park Reservoir in 1960 and Curt has been fishing the area since then. As a result, he knows the Island Park area and the entire Yellowstone region very well. Whether he is searching for trophy trout on Henry’s Lake or wading little known sections of the lower river, Curt has an uncanny ability to find fish. Curt spends the winter recovering from a summer of guiding by hunting pheasants and other birds with his black labs and working for the IRS. “Tall” Tom as he’s admirably known is originally from Missouri and has been a member of our staff since 1983. He first fished the Henry’s Fork area in 1968. Over the years, he has acquired a great deal of knowledge about the area. He is known as a patient guide who does an excellent job teaching beginner & advanced anglers alike. His steady temper and dry sense of humor make him a great companion for a day of fishing. In the off season, Tom guides elk hunters and works at a restaurant near his home in Sheridan, Montana. 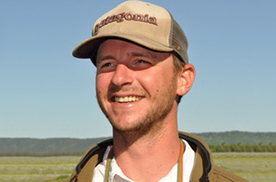 Tom has also done quite a bit of big game hunting in the Yukon and is active in the Federation for North American Wild Sheep. Hootie was born and raised in Dalton, Georgia. He began fly fishing for trout about twenty years ago on the Conasauga River in the Cohutta Wilderness. He Graduated from Kennesaw State University with a B.S. degree in Psychology. 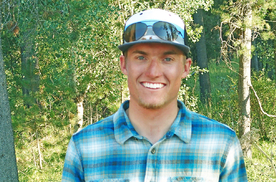 He began fishing northwestern Wyoming waters as a young teenager on summer vacations. 2008 was his first season with Henry’s Fork Anglers, and he is very excited to return every summer. When Hootie is not fishing he is either tying flies or observing insects and fish from the stream bank. During our off-season Hootie guides on his home waters of Georgia and Tennessee. Alex Kohn is originally from Piedmont, California. He grew up fishing the mountain streams and lakes in the Sierras. Alex received a B.S. degree in Sociology from the University of Oregon. With his college finished up, Alex’s passion for fishing has become a lifestyle. He can be found chasing steelhead and salmon during the fall and winter months and of course trout during the summer. Alex came on to work for Henry’s Fork Anglers in 2008. He started working in the shop, and still does on a part time basis. He moved on the full time guide staff in 2009. Recently Alex began splitting his time guiding on the North Platte River in Wyoming. Andy is from Redwood City, CA where he recently left a thriving business to follow a life long dream. Andy received his B.S. in Marine Science from University Alaska Southeast, Juneau. After college Andy moved to Billings, Montana where he fished many of the Eastern and Western Montana waters. His love of fishing then took him to a unique experience of teaching the art of fly fishing in communities of Minnesota. 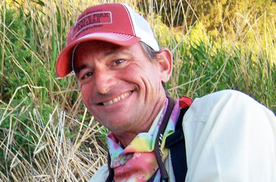 Andy’s love of fishing has given him amazing experiences from Alaska to Mexico. He is an avid waterfowl and upland game hunter. His love for preservation of nature led him to serve as DU president, San Mateo Chapter, for four years. Andy’s personality, spirit, and life’s experiences will absolutely give anyone the time of their life while on the river. Tyler is originally from Columbus Ohio. He has been fishing since the first day he could hold a rod and caught his first trout on the fly at age 8. He has been obsessed with fishing of every kind for as long as he can remember. He guided through college in Ohio for bass, trout and great lakes steelhead. After college he found his way to the Henry’s Fork to pursue a career in fly fishing. Along with guiding he also manages Lakeside Lodge on Island Park Reservoir. In the offseason he likes to hunt whitetails in Ohio, ski and chase trout, steelhead, and musky when the weather permits. 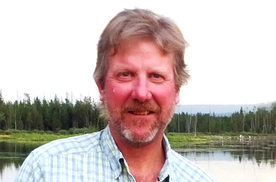 Originally from the west coast, Chuck moved to Idaho in 1978 to pursue the region’s great skiing and fishing. The next step was sharing his skills with others as a fly fishing guide. 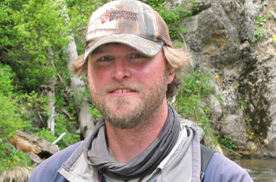 Chuck has extensive experience guiding for other outfitters in the region. He has served as a part-time guide for Henry’s Fork Anglers for many years. 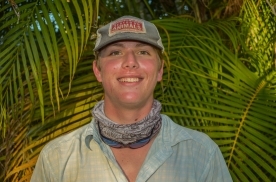 This year he has moved to our full-time guide staff. 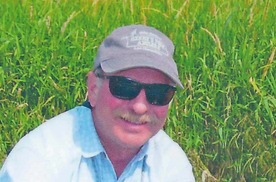 Chuck is a skilled boatman, a patient teacher, hard working, with a laid back easy going personality. His wife, Sharon, teaches school near their home in Teton Valley. Sharon, along with their daughter Kristine share Chuck’s love of fly fishing and skiing. Matt is from Johnson City, Tennessee where he recently graduated from Milligan College with a B.S. in Business Management. Matt grew up fishing eastern tailwaters and mountain streams of East Tennessee, but his passion drove him westward to pursue a career in fly-fishing. Matt has been working in our shop since 2011 and has proven to be a hard worker as well as a talented angler. His shop experience has also allowed him a lot of time to learn all of the important waters in our area of operation. 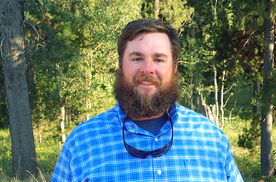 Matt has been fishing the greater Yellowstone area since his teenage years, and loves catching big bows on the Henry’s Fork. Colton started fly fishing when he was ten years old in a small town just outside of Boise Idaho. He cut his fly fishing teeth fishing for warm water species including crappie, bluegills and largemouth bass. Later he expanded his focus to trout which he loves. He started commercially tying flies at the age of 15 for a fly shop out of Boise Idaho. He worked for Henry’s Fork Anglers in our retail store for two years where he gained valuable experience working with the fishing public and learning the complex fisheries in the Henry’s Fork arena. He started guiding full-time in 2014. In the short time he has been guiding he has built up a strong following of return clients. In addition to fly tying Colton is also an accomplished photographer. Paul is from Conway, Arkansas where he grew up fly fishing the White River system in the Ozark Mountains. He has been tying flies from a young age, and was the 2008 Jr. Fly Tier for the Southern Council FFF. 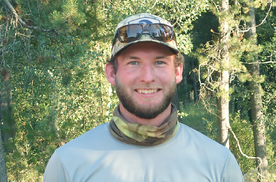 His summers in college were spent guiding and fishing Colorado, Montana, and Yellowstone National Park. He eventually landed in Idaho where he found a good fit with Henry’s Fork Anglers. Time as a shop employee allowed him to explore all the wonderful fishing options in the area. Paul has a proven track record as a patient and successful teacher. He especially enjoys the diversity offered in the waters surrounding the Henry’s Fork. His passion for fly fishing is obvious while in his boat and he has built up a strong following of return clientele. 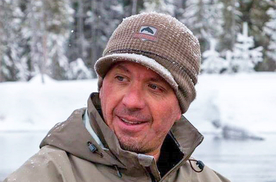 Tom is originally from Fresno, CA where he grew up with a fly rod in his hand fishing the waters of the Sierras. 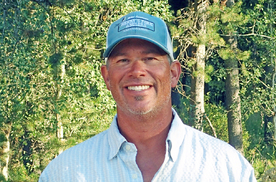 His passion for fishing and guiding over the last 24 years has lead him from California to Alaska to Mexico to the Cayman Islands, and finally here to Island Park. When Tom isn’t guiding you can find him in our shop behind the counter. He loves people and especially people who fish. He also spends as much of his free time as possible learning the vast service area covered by Henry’s Fork Anglers. Tom’s sense of humor and passion for teaching the sport have made him a great addition to our staff. 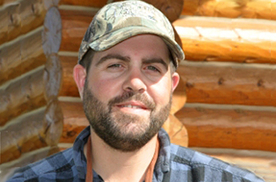 Jay was born and raised in Sedalia, Missouri, where he grew up fishing lakes and streams in the surrounding area. He began fly fishing at Bennett Springs State Park in southwest Missouri when his grandfather gave him his first fly rod at the age of 8. In 2014 another Sedalia native, Bob Lamm introduced him to our area and he fell in love with the Henrys Fork. In 2015 Jay spent his first season with Henry’s Fork Anglers working in the shop and learning all he could about the waters in the area. When he is not guiding you’ll likely find him behind the counter in our shop. His devotion to learning the water and patience and passion for teaching are just a few of the qualities that make Jay a successful guide. When he’s not fishing, you can find him in the woods chasing white tail deer, elk, turkey and other wild game. Shawn was born and raised in Knoxville, Tennessee. He was born with a rod in his hand and likes to credit his grandfather for his love of the outdoors. From the time he was young he targeted warm water species. After he turned 12 when he was introduced to targeting these fish with a fly rod. He immediately got into tying his own flies in which you can still find him doing with his time spent off the water. From here he has had unbelievable opportunities to fish all over the world targeting anything that will eat a fly. Shawn has worked for Henry’s Fork Anglers for the past three seasons in the shop. This has provided great experience for him to learn from our customers, clients and especially our other guides. Whenever he wasn’t working he was fishing which provided an intricate knowledge of the vast fishing resources in our region. He spends his off season guiding the waters of East TN, and finishing up school at the University of Tennessee. Elden is a full-time security officer at the Idaho National Laboratory near Idaho Falls. His family goes back at least four generations and he has fished the waters in our area all of his life including the South Fork of the Snake, Henry’s Fork, Madison and other waters. 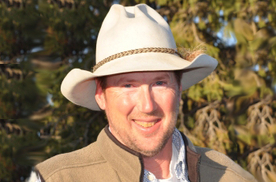 Elden has been guiding part-time for Henry’s Fork Anglers since 2002. He is also a well-known fly tier and serves as a contract fly tier for Idylwilde Flies. He is the originator of the Elden’s Ant, perhaps the most recognized foam fly in the world. He is a very accomplished guide with an relaxed, even-tempered personality.